Show your green for a total immersion into an Irish experience, don’t miss the St. Patrick’s Day Irish Festival at Lafayette Village in Raleigh on Saturday, March 16th from Noon to 4 pm. Offering an entertaining, fun-fulled peek into the Irish Culture. 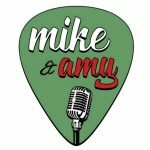 Enjoy live music by Mike and Amy, food, ad fun for the entire family! While we can’t promise you a pot of Gold, you’ll be sure to find treasures in our Village shops! Irish Myths & Legends –Characters from Irish mythology take some time to share legends and stories with young attendees. St. Patrick himself will even make the rounds throughout the day. Scriptorium – Learn to write with a quill pen, color an illuminated letter, and learn about manuscripts and how the Irish helped to save civilization. Irish Quest – Young adventurers will journey throughout Lafayette Village to gather clues and treasure to complete the quest and earn a token and certificate! The Tavern at the Signof the Oak & Acorn – Visit our recreated British tavern where you can learn all about pastimes in the days when iPhones and PSP’s didn’t yet exist. Games of chance and skills are taught, and outdoor historic games on the lawn are also available for family play. Hear Irish folktales and stories in our replica 20’ x 20’ medieval pavilion. Brass Rubbings – Young guests can create their own brass rubbings at our crafts tent. Face Painting – Painting by Funtastic Painter, Valerie, to raise funds to benefit leukemia and lymphoma cancer research. Enchanted Wishes – “Enchantment Behind Every Wish” stop by and see your favorite princess and super hero! Hear a story or play a game.